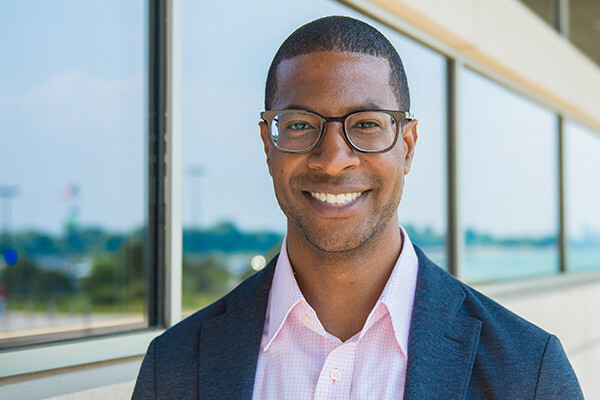 Study lead author Mesmin DestinTalking with students about their goals for a successful future can help manage challenges and stress, according to a Northwestern University-led study published in the journal Motivation and Emotion. The effect was particularly strong for female students from low socioeconomic status (SES) backgrounds, said study lead author Mesmin Destin, associate professor of human development and social policy at Northwestern’s School of Education and Social Policy. “The way we frame our mindset going into an interaction can ease anxiety and help students gain confidence in non-verbal interactions,” Destin said. For many young people, college presents great opportunities but also marks the first time they are away from their family and support network. Students from lower SES backgrounds often face unique financial and psychological challenges compared to others, and this can lead them to avoid or withdraw from uncomfortable situations, such as interactions with faculty or difficult tests and exams. Destin and his colleagues explored the idea of “identity-based motivation” or the theory that people can draw from images of their own possible future as a source of motivation, particularly during times of adversity. In two experiments -- the first involving 93 female students and the second using 185 students, including 101 female -- the researchers asked participants to write about their past or about their future success. They later filmed a mock interview with a so-called professor to assess body language, and then gave study volunteers a difficult academic test to measure effort. The results were consistent with the theory of identity-based motivation. Destin and his team found that women from lower SES backgrounds showed greater motivation if they thought and wrote about their future as a successful college graduate before the academic challenge. They showed more confident body language. And they put more effort into tackling the test which had an indirect effect on their performance. “Activating imagined successful future identities appears to provide a potential pathway to enable vulnerable students to effectively navigate everyday stressors,” Destin said. He emphasized that the study suggests that faculty should think about ways to meaningfully engage with students about their goals as a way to help support their motivation.